Located at the entrance to the Old Kayakapı of Ürgüp, Fresco Cave Suites is among the most preferred Cappadocia cave hotels with its high-quality service. After dinner, you can watch the sun set over the terrace while sipping your coffee. Don’t miss the opportunity to experience a unique stay in the cave rooms. The price of this hotel, which relieves the worries about the heating system, varies according to the room choices, but if we give an average price, the price of 1-night stay in the Fresco Cave Suites & Mansions hotel starts from 270TL. 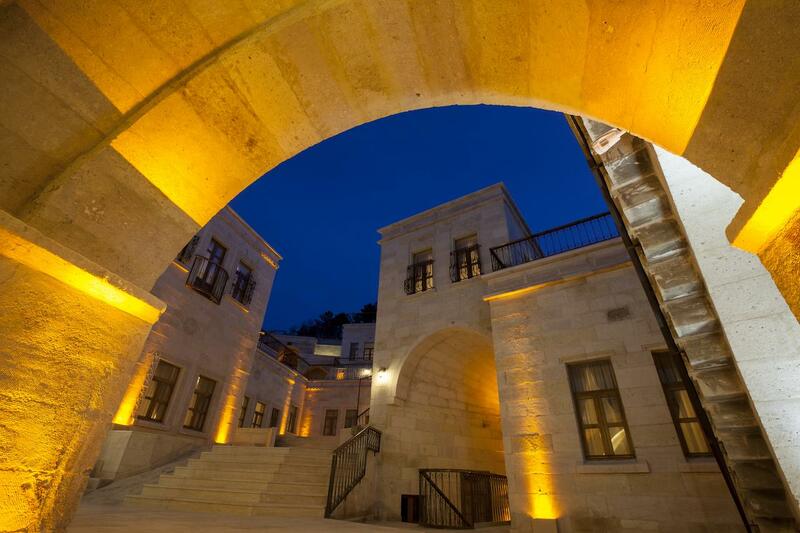 Cappadocia Estates Hotel is a 5-minute walk from the center of Ürgüp. With its friendly staff and high-quality service, this hotel provides a wonderful stay in historical beauties. 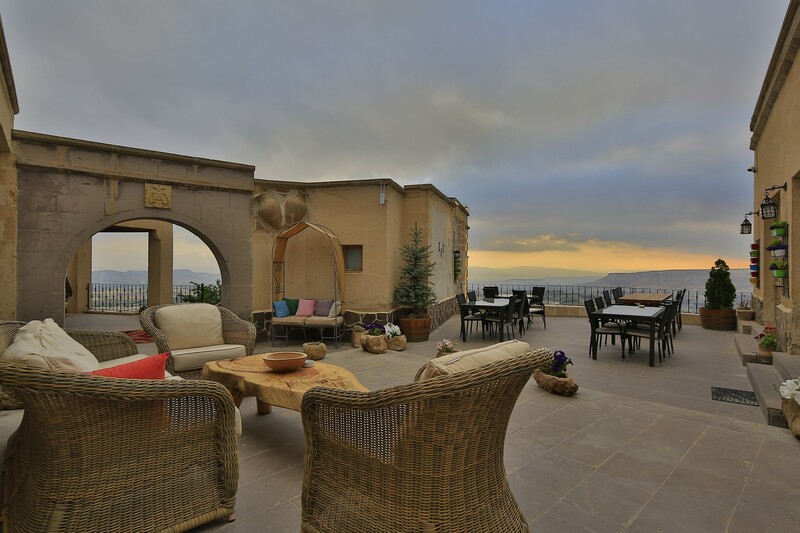 You can go up to the top terrace of the Cappadocia Estates Hotel where the old motifs are reflected in the décor and watch the sun rise and enjoy your evening meal by watching the carving stones that dominate the elegant restaurant. Rates vary from 350 TL according to accommodation preferences. The Magic Cave House in the Davutlu neighborhood of Ürgüp reveals the history of the stone houses in each corner with the buildings built around the heap. This hotel, where white stone walls are laid with wooden doors, leaves sweet memories in the memory of the guests with its splendid breakfasts and Turkish coffee with plenty of taste left on the palates. At night, the yellow lights on the doors and walls provide a unique view in harmony with the stone-patterned walls, while you can feel the whole air of Cappadocia here. With its spacious rooms and full notes of cleaning, Magic Cave Hotel offers a quality service at a starting price of 300 TL. 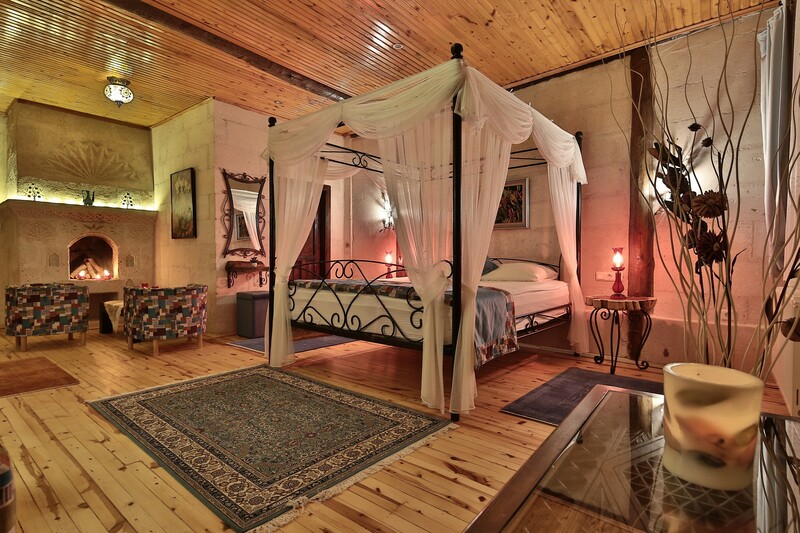 Göreme Inn Hotel is located in the center of Göreme and offers elegantly decorated, spacious rooms with high ceilings. The hotel has a total of 15 rooms, and you can enjoy your breakfast buffet on the large terrace with plenty of sunshine. You will not be able to take your eyes out of this beautiful garden while sipping your coffee in the evening on the ground floor with an endless green garden. In addition, maps provided at the first entrance help you to draw your route to Cappadocia. Göreme Inn Hotel’s one-night rates start from 250 TL. Aren Cave Hotel is a 2-minute walk from the Roman Castle and offers the most delightful accommodation in Cappadocia with its ancient motifs. The hotel has 9 rooms and looks like old mansions from the outside. Aren Cave Hotel is located in the very center of Göreme and is within walking distance of every place. The accommodation prices for Aren Cave Hotel, which has 24 hours room service, start from 200 TL. You can choose from the rooms with magnificent views of Göreme and benefit from early booking opportunities. The Loop Hotel, located in Avanos, a ceramic paradise, attracts attention with its green courtyard. A boutique hotel, The Lopp Hotel is among the preferences of those who want to enjoy peace after exhausting Cappadocia excursions. The stone rooms are decorated in a wood and you can enjoy the sun in the courtyard of the hotel. Starting from 150 TL, you can spend peaceful moments with very reasonable prices. Riverside Mansion Hotel, opened to provide accommodation for its guests after the restoration of the old Greek mansion, serves local tastes and opens the door to quality visitors and unique tastes. Located in a place where you can reach Kızılırmak very short, this hotel offers a perfect service with 7 rooms in total. Fees for Riverside Mansion Hotel, which is frequently preferred by Avanos guests, offers prices starting from 180 TL per night. 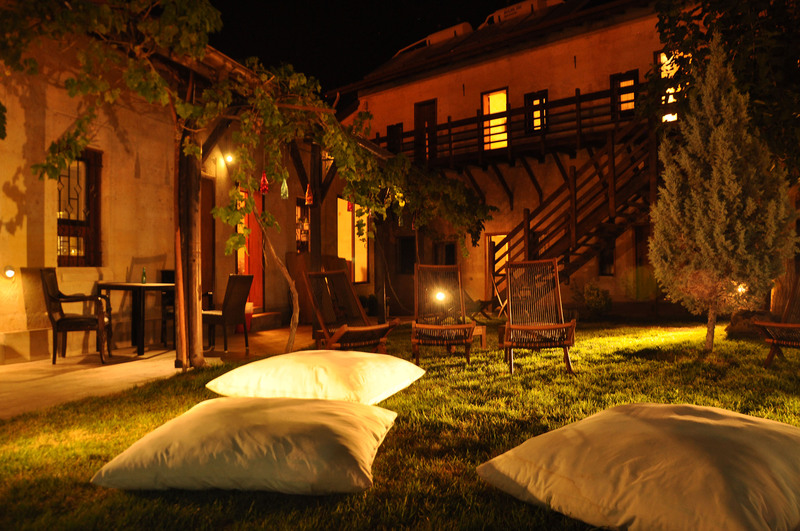 Located in the heart of Uçhisar, La Casa Cave Hotel is famous for its cave rooms. You will be able to see all the Uçhisar to the sky. With the additions to the cave rooms, you can feel the authentic quality of service at every corner of the hotel. The sitting groups on the terrace make you feel at home, so you can find yourself searching for reasons to extend your stay. Get ready to experience an unprecedented experience at La Casa Cave Hotel with accommodation fees starting from 185 TL. Eyes of Cappadocia Cave Hotel has an excellent location in a place where you can feel the inspiration of the old Rum neighborhood. A magnificent door welcomes you at the entrance of the Eyes of Cappadocia Cave Hotel, where the traces of history are felt at every step. This hotel is quite different from its architectural structure and it becomes a place not to be abandoned by the beauty of the special lighting. 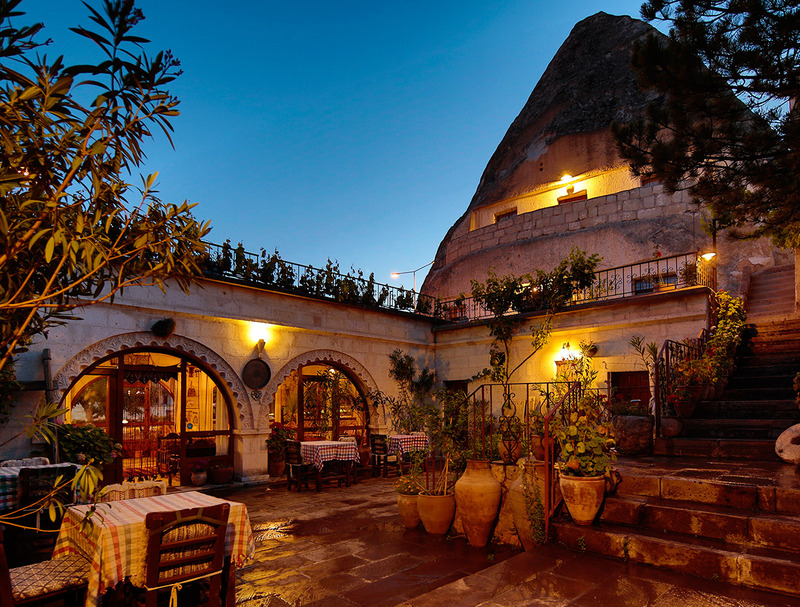 Eyes of Cappadocia Cave Hotel, which has become the center of attention of the embroideries on the stone walls, offers a one-night stay with prices starting from 120 TL.